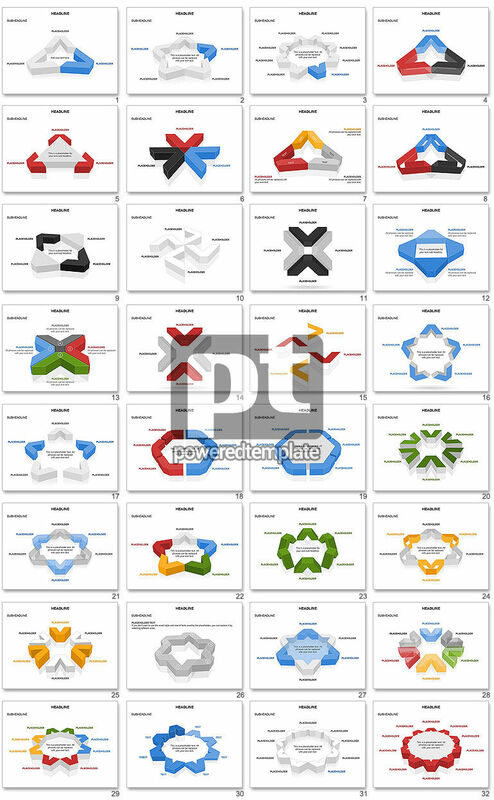 These presentation slides 50259 are complete compatible with Google Slides. Simple download PPTX and open the template in Google Slides. This presentation template is full of objects composed of V-like shapes made in grey, blue, red, black, yellow, green colors on white beautiful background. Each piece of such slide deck has own brief description or a title. Choosing this presentation is possibly for different areas projects where it is necessary to describe parts of the whole.